The main course is over! Now time for some style desserts! If you are just starting to 'branch out' with skin showing then this skirt is perfect for you to try. The conservative pencil cut is elevated with the sheer detailing in front, giving you both room to walk and a little semi-skin seduction! 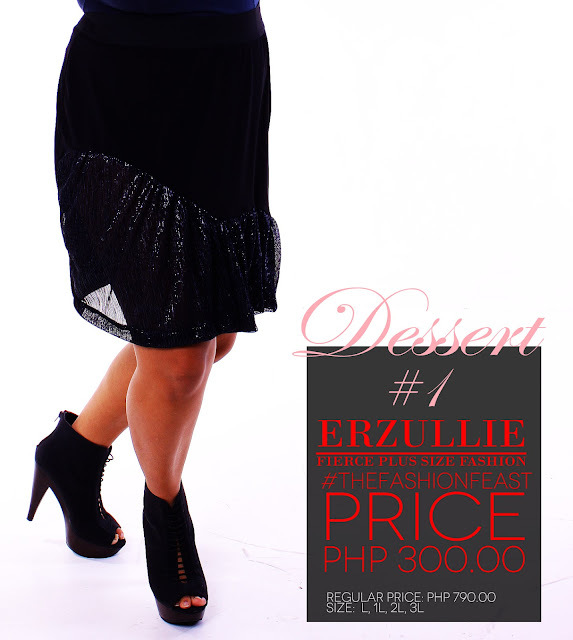 Regularly priced at PHP 790 pesos, for The Fashion Feast sale event, it will just be PHP 300! PLUS SIZE POWER: "BEING A PLUS SIZE MODEL"